It's been a few weeks now since any interesting Nokia phones were leaked. 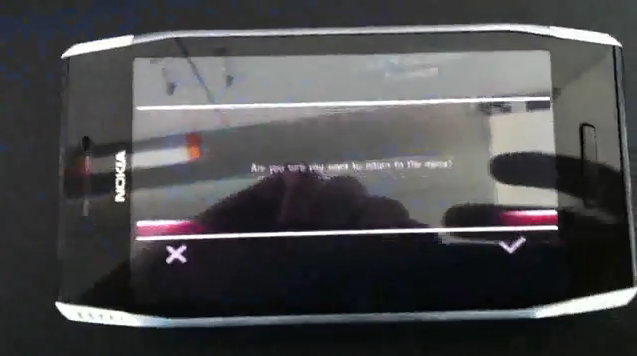 Thankfully, YouTube user bozskydave has been kind enough to upload a video of what is allegedly the Nokia X7. 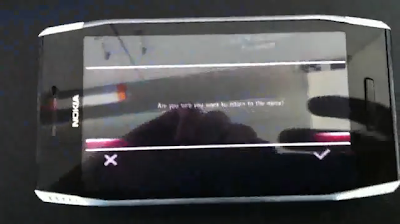 What becomes apparent straight away is that this looks to be a gaming phone (note the 'Shop Games' application). Nokia have definitely taken a few design ques from their notoriously unsuccessful Ngage devices and incorporated them into the X7. Oh, and whoever's been using the phone certainly likes Disney children's shows - good thing the Ovi Store has so many Hannah Montana wallpapers and ringtones. Apart from that, the X7 seems to sport a medium-sized capacitive screen, inbuilt accelerometer, GPS and an impressive GPU. Make sure you watch the video (which looks to have been recorded in the Czech Republic) quickly before it's removed by Nokia. EDIT: The original video was made private. I've uploaded a mirror of the video which you can view below. always nice to hear from u. Thanks for the kind words! I do try to post every once in a while, but that's becoming less frequent these days. Hopefully that will change soon.